• Oregon’s population is 317,704, Klamath County is 2,444. Linkville’s population is 364. United States population is 62,979,766. • Major flooding in Northern California and Oregon. • Thirty foot drifts of snow recorded at the head of Agency Lake. Very hard winter with extraordinary high waters on the lake. • First County Teacher Institute. • Bob Emmitt constructs the third and present day Topsy Grade. • Eugene and Frank H. McCornack begin purchasing land in the Klamath Falls area. • Bowdain sold part interest in the rebuilt Linkville Weekly Star to “Peter the Poet” Connolly. • Lincoln sells his Rocky Point original homestead to Kendall would build a lodge, later known as Pelican Bay Lodge, for tourism. • Loosley family in Wood River Valley build the first Klamath County creamery. • Warren Mills built his house at 123 High Street. • Fort Klamath is abandoned by military. John Loosely is appointed caretaker. • Scarfaced Charlie died in Oklahoma. • Several small boats, mostly barges equipped with steam engines and stern wheels, haul freight and do towing on Upper klamath Lake. These were operated by Buddy Richardson, Louis Dennis, Bert Wilson, D.W. Griffith and others. Oregon, Hobson, Alma, Mud Hen, Hornet, Hooligan, North Star and Eagle were some of the boats. • May 6, Annie Creek Ditch Company incorporates in Wood River Valley. • Rancher Nathan S. Merrill bought 152 acres for $3,000 from J. Frank Adams. Adams had bought the land from the Van Brimmers two years earlier. • J.W. Malone and John Young name Crystal Springs. • The Rogue River Valley Railroad, known as the “Jacksonville Cannonball” was built to connect Medford and jacksonville and was in operation for 35 years. • D.G. Brown arrives in Rocky Point inspect Lake and Runyan property in which his father-in-law, Francis Dodge, has an interest. Brown buys 5000 acres between Malone Springs and Crystal springs from Runyan and Lake. Brown homesteads on an adjacent site. • Pacific and Eastern Railroad is incorporated with the backing of James J. Hill. • April 6 – Annie Creek Ditch Company incorporates in Wood River Valley. • West Side Canal, Thomas Martin and Charles and Rufus Moore Company. • Indian agent Sam Culver, 77, drowns while crossing ice on Upper Klamath Lake. Indian find his body in the Spring. • Nathan S. Merrill bought 152 acres for $3,000 from J. Frank Adams. • 1891-92: Harsh winter with lots of snow. • April 28, Klamath Fall’s newspaper Weekly Express is started by David B. Worthington. • George Biehn organizes fishing trips for wealthy Southern California businessmen to fish local streams and rivers around Upper Klamath Lake ( from 1892 to 1900). • April, a traveling Lumbertown is in operation in Pokegama. • First log school is built at Odessa, near the site of the future Pioneer Guest Ranch. • First railroad subsidy subscriptions. Southern Pacific asked for $100,000. • December 10, Theodocia Shattuck becomes first postmaster of the new Fort Klamath settlement. • Harsh winter with lots of snow. • February 7, Linkville renamed Klamath Falls. • Union Pacific Railroad goes into receivership. • A.L. Levitt is president of the Klamath Falls City Council. • Cascade Range Forest Preserve is established. • D.G. Brown and Ben Peterman builds school at Crystal. • Families living in Rocky Point area include Mr. Welsh on the north side of Varney Creek, Ira Hanson on what becomes th Fred McTimmonds homestead, Grays, Torreys and Spence. Familes living in the Crystal area include Louis Plantz on Cherry Creek, Jack Adkins near Jack’s Spings, Mr. Hicks and Bob Dobson at the head of Crystal Creek, Huge Silvers and his son Charles homesteading south of Crystal. George Malone and his father-in-law Mr. young homesteading near Malone Springs. B. Saint George Bishop near Lookout Point (presently The Cedars) and Dennis Crowley who ran a logging camp south of Lookout Point. • Early deed to what will become Point Comfort belongs to Marion Cassius Kasson, surveyor, school teacher and speculator. Left in 1900 for a visit to the Paris Exposition and never returns. • “Logger” Jones operates around Howard Bay and brings the first high logging wheels to Upper Klamath Lake. 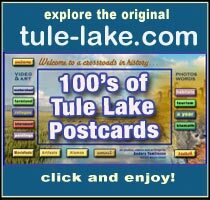 • Privately printed penny postcards were put on the market. • Lawrentz family, early settlers in Rocky Point, open a post office named Lawrentz, open until 4/17 1895. Rocky Point was first named Leavitt’s Point after A.L. Leavitt. • Weekly Express sold by David B. Worthington to J. Scott Taylor. • Peter Connolly bought Bowdain Cut. • J.V. Houston and wife Margaret arrived in Linkville. • Klamath Falls Light and Water Company provides the first electric lights for Klamath Falls. H.B. gates owns 51% of the company, The remainders was divided among E.R Reames, Charles Moore and Rufus Moore. • Post office opens at Crystal. • Fire wipes out east end of Klamath Falls. • May 28, Nathan and Nancy Merrill “dedicated the streets and avenues of Merrill for use of the public forever,” as recorded at the Klamath County Court House. The original townsite was 80 acres. Antone Castel, hired by the Merrills, created plans for a town with two business thoroughfares, residential streets along with school and park sites. • August, a flour mill opened in Merrill that was built by Thomas Martin and financed by Merrill. • Large fish die off of mainly suckers and chubs on Upper Klamath Lake. • October 30, Shattuck deeds one acre to George Pan who builds the first Fort Klamath General store. • June, Fort Klamath Creamery sends butter to San Francisco. • June, Joseph G. Pierce and George Farnsworth bought the Weekly Express. • O.B. Gates installs the first Klamath Falls electric lighting system. • Robert Spink arrives at the Klamath Agency to take a commissary clerk’s position. • Merrill, Oregon has its own 20′ x 40′ school house. • Dr. Hemenway was a doctor in Bonanza, He had married a local woman who died young. He remarried through a Lonely Heart Agency but it didn’t work out. the new wife lived in one-half of the house and he lived in the other half. She was the fourth of five wives. • November 1, first electric lights were made operable by a small plant on the east side of Link River. • November, a holdup of the stage on Topsy Grade attempted by A.C. Frick who had just escaped from the Klamath County jail. • November 26, George Nurse died after being injured by horses. • Miss Jessie P. Rose comes to Crystal to teach. • Merrill, Oregon post office was established in 1896. • April, Bowdain began another Klamath Falls newspaper, The Republican. • Botanist Frederick B. Coville inventories the plants used by Klamath Indians and studies the processing of the yellow water lilly (wocus) for food. • Herbert Fleishhacker begins making highly successful investments in electric power in Oregon as well as California, 1896 – 09. Fleishhaker will become a major financial power in Klamath Falls and a major land owner in Rocky Point. • 3,800 acres of Wocus Marsh converted to farmland. • John Goeller became sole owner of Klamath Falls Planing Mills built up by Peterman. • Rev. Jesse Kirk, Henry Blow, Allen David, Jack Palmer and David Hill were some of the Klamath Tribal dignitaries. • William T. Shive builds a store, home and rooms for occassional overnighters. This the start to the Fort Klamath Hotel. • February 15, Robert Spink and Alice Leona Eveland wed at Klamath Agency by Major Joseph Emory, and ordained Minister and Superintendent of the Klamath Reservation. • 1897-89: New policy initiated at Klamath Agency discontinued issuing of rations and the Indians were to receive small payments from timber sales, leases, and cash settlements for relinquished land. the Indians were to be issued cattle, farm machinery, seed and lumber and taught how to use them. • The Houston Opera House, built by J.V. Houston, opens in Klamath Falls to provide stage entertainment. • June 4, the Pokegama post office name was changed to Klamathon. • E. H. Harriman raises $100,000,000 through a loan from the Illinois Central, forms a syndicate and takes over the Union Pacific Railroad. • Alice Spink, as school teacher at Klamath Agency received $ 30 -40 a month. Robert Spink received less than $75 a month as financial clerk in the klamath agency administrative department. • Claudia Spink Lorenz, historian, was born in Atlanta, Georgia while her mother Alice was visiting her husband’s parents. • A.L. Leavitt becomes the area’s first circuit judge. • Robert Spink was transferred to the Navaho and Hopi reservation in Arizona and new Mexico where he was Assistant Chief Clerk at Keams Canyon Agency. He was in charge of financial and office records. He was 24. • December 18, George L. Herchberger, the original homesteader, sells Odessa to Louis Dennis. • 1897-98 – Temperatures at Fort Klamath reach -42F. • Southern Pacific Railroad begins publication of Sunset Magazine as part of a campaign to bring settlers to the west. • United States goes to war with Spain. • Robert Spink is commissioned by the Smithsonian to collect Indian blankets, pottery, tools, baskets and artifacts for study. • August 15, big fires in timber between Pelican Bay and Lake of the Woods. • The precarious Topsy Grade was in continuous use along the Klamath River. • Oliver C. Applegate, son of Lindsey, is appointed the tenth Superintendent of the Klamath Agency. • July, the steamboat Oregon makes four trips weekly between Klamath Falls and Pelican Bay and other stops. • “Professor” Godfrey puts on the first air circus, he makes a balloon ascension and parachute jump. • Glacier on Mt. McLoughlin disappears. • August 31, first mention to a motion picture was made in the Klamath Republican. • Topsy Grade is rebuilt. • G. Grant Crary is proprietor of a resort on Pelican Bay. • E.H. Harriman reacquires the Oregon Shortline and gains control of the Oregon Railway and Navigation Company. • June 1, The Klamath County Bank is the first Klamath Falls bank. • July 6, half the town of Pokegama was destroyed by fire starting in the kitchen of Parshall Store. 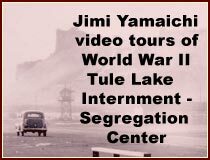 • Spink returned to Klamath agency from the southwest after being offered the same position that he held there, Assistant Chief Clerk. • The U.S. created the Isthmian Canal Commission to examine the possibilities of a Central American canal and to recommend a route. • Chitwood Drug Store opens the first soda fountain in Klamath Falls. • December, Chitwood Drug Store opens the first theater in Klamath Falls. • December 20, snow is five feet deep in Wood River Valley.